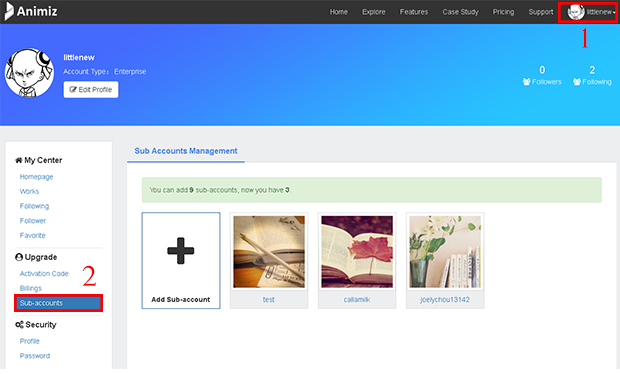 If you purchase Enterprise Plan for 10 users, you can add 9 sub-accounts by following the steps below. 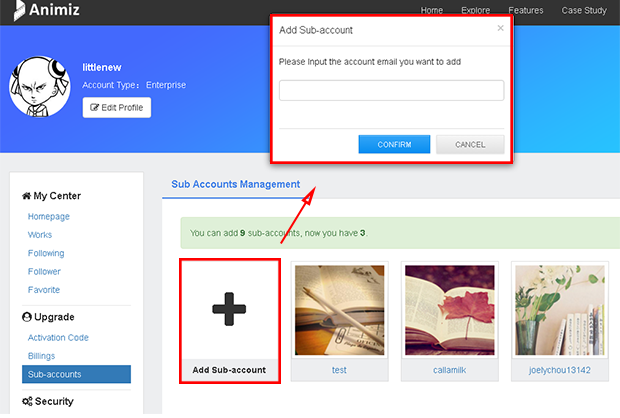 2)Click "+" to add sub-account, in the pop-up window, input the account email you want to add and "Confirm"
Previous：How to remove watermark in published videos? Next：How can I pay for the order of your software?